Lead singer George Panagopoulos left Los Angeles in 2006 with the intention of finding all the elements needed to create a truly great rock band. This journey has lead George to Hamilton Ontario, which is now becoming the mecca for the modern music scene both in Canada and North America. Soon he founded Radio Free Universe and three years later, and with Marcus Starr on guitar, Ryan Davie on bass, and Ashton Norman on drums, they have forged an incredible live show captivating audiences with their raw energy. Radio Free Universe is becoming the most favored new rock group in the world. Leading the way on Facebook and Reverbnation, RFU’s music is being enjoyed all over the world. 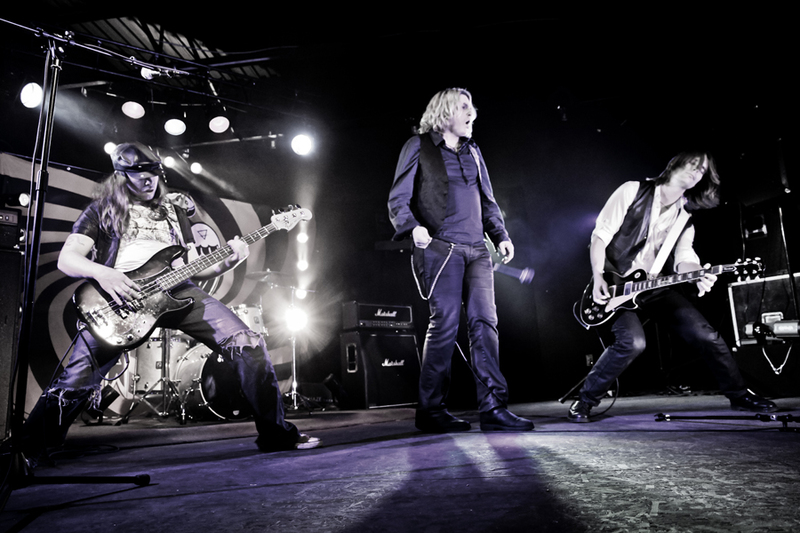 The band has earned nominations for Rock Recording of the Year for their debut EP ‘Six’ and for their full-length follow up album ’13 Day Hangover’ in 2013 by the Hamilton Music Awards. ’13 Day Hangover’ fuses contemporary production with all the classic elements of modern rock bringing a distinction to their sound. Currently promoting ’13 Day Hangover’, Radio Free Universe is taking no prisoners. With tracks like Happy, I Never Wanted You Anyway, and 13 Day Hangover, we can guarantee you’ll be hearing RFU on a radio station near you in the very near future.